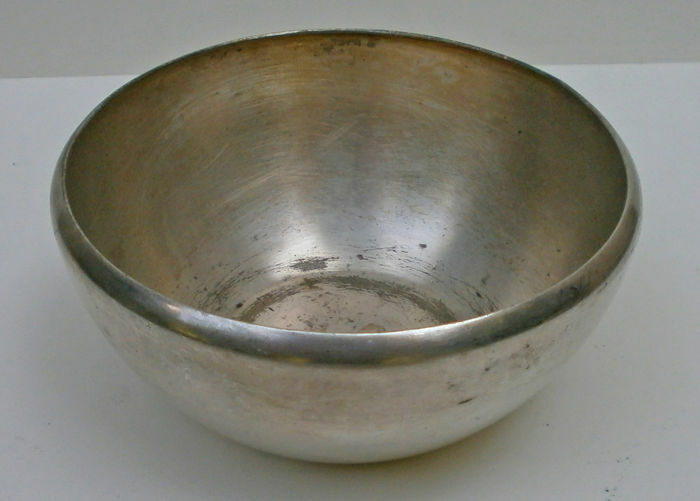 Lot of 12 bowls in antique silver, marked by “SAMBONET ITALY 8”. Dimensions (each): - diameter 11 cm - height 5 cm In excellent condition, well preserved, with nice patina. You can pick up this lot from the seller: Sant'Agata dei Goti (Bn), Italy.